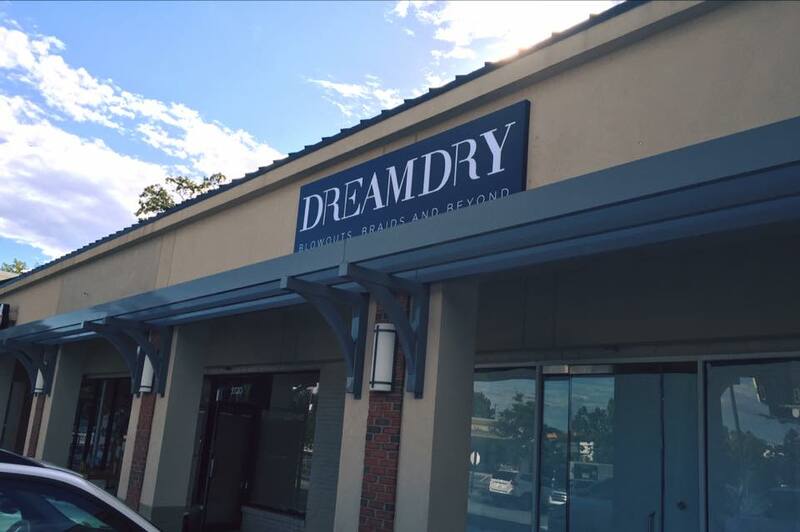 DREAMDRY, a New York-based salon, will enter the Atlanta market tomorrow with a location in Powers Ferry Square in Buckhead. The salon opens in place of GlowDry, a similar Atlanta-based business that was acquired by the New York firm. DREAMDRY specializes in blowouts and updos, and was founded by fashion designer & stylist Rachel Zoe and former Creative Artists Agency veteran Robin Moraetes.  There are currently four DREAMDRY locations, including two in New York City and two in Chicago. Designed in collaboration with local interior designer Heather Roberts, the Buckhead salon will feature 12 styling stations as well as their signature Jonathan Adler lighting and decor. The Buckhead location will also feature makeup services from its sister beauty destination, PUCKER. Bawarchi Biryani Point, an Indian restaurant, is expanding into Mirage, a Persian restaurant, that recently closed in Abernathy Square in Sandy Springs. Supercuts will soon open a new location Piedmont Avenue near Cheshire Bridge Road. The new hair cut shop is being opened by the same franchisee as that of a relatively recently opened location at Briarcliff Village near Northlake Mall. A new Asian restaurant called Chow King is coming to the Best Buy-anchored The Promenade shopping center on Cobb Parkway in Smyrna. Bo Bo Garden, with an existing and popular location on Buford Highway in Doraville, is expanding to Gwinnett. The new restaurant, "Bo Bo Garden 2" will open in the Kroger-anchored Reynolds Crossing shopping center near the intersection of Old Norcross Road and Steve Reynolds Boulevard. Bo Bo Garden serves classic Chinese dishes, family style, in a relaxed setting. The new location is expected to open in a few months and should be similar to Bo Bo 1. Site work has finally begun on the new Bonefish Grill at Akers Mill on Cobb Parkway. I first reported on the upcoming restaurant in February of 2015. Today, sources indicate the restaurant should open during the first half of 2017. Mellow Mushroom reportedly plans to mark its return to downtown Decatur by the "end of Fall 2016." The new Mellow Mushroom will open at 340 West Ponce de Leon Avenue in a roughly 3,000 square foot space. The popular Atlanta-based pizza chain abruptly left Decatur in early 2014 when its location in the nearby Commerce Square shopping center closed after 15 years in business. The new location opens in place of Dos Madres Cantina, which closed this past January. The former Cafe di Sol that later became Cafe 640 and most recently Cafe Highland, is changing again. Tierras Alto American Cantina soft opened a few weeks ago in the space at 640 North Highland Avenue. Tierra Alto, which means "high mountain" in Spanish, sports a similar but enhanced menu compared to its most recent predecessor. The "BeltLine/Murder" Kroger on Ponce de Leon Avenue is still slated to close, but its final day is now up in the air. As I reported in January, the Kroger is slated to be replaced by a mixed use development "725 Ponce," that will include 360,000 square feet of office space as well as a new 60,000 square foot Kroger. The current Kroger was previously slated to close in early May. Kroger officials later informed me the closure had been moved to mid-June, then mid- August and most recently early September. The current date is "sometime in the future." Real estate sources indicate that the delayed closure is at least partly due to issues the project's developer is experiencing in arranging financing. The AJC recently reported that the project's developer, New City, is seeking what could amount to as much as a $7.4 million tax abatement over ten years from Invest Atlanta. The $155 million project is estimated to have a $221 million economic impact to the area. The matter is slated for debate at Invest Atlanta’s monthly board meeting tomorrow. After opening in early April last year, the Value Place hotel off Dresden Drive in Chamblee has been renamed. Interestingly, the hotel officially opened April 1, 2015 but on April 23, 2015 the entire hotel brand adopted a new name, WoodSpring Hotels. The Chamblee property recently replaced its signage to reflect the new name. The Wichita, Kansas-based extended stay hotel chain has eight properties in Georgia of which the Chamblee property is the first to adopt the new name according to the brand's website. 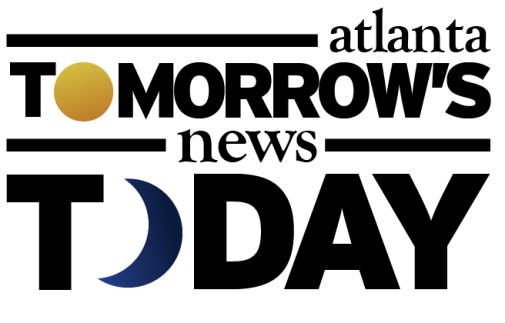 A new branch of Charter Bank is coming to the Gateway project on Roswell Road in Sandy Springs. The center, anchored by Sprouts Farmers Market and also home to Chipotle, Urban Cookhouse and Tupelo Honey Cafe, among others, was originally slated to have a PNC Bank, but those plans fell through. PNC was apparently unable to offer drive-thru banking and as such, opted to abandon their plans. Charter Bank, based in West Point, Georgia, has 14 branches between Georgia, Alabama and Florida including a "temporary" location in Tower Place 100 in Buckhead. The new Gateway location will become the "permanent" "Buckhead" branch. The new Cheeky at Gateway on Roswell Road in Sandy Springs is expected to open "before Labor Day." The Mexican restaurant has existing locations in Norcross, Forsyth, Suwanee and East Cobb. Pita by the Beirut Pita Mediterranean Street Food will celebrate the grand opening of its newest location this Thursday in Marietta Kennesaw. The new restaurant is located on Prado Lane, just off Barrett Parkway in a space previously occupied by Bob Steele Salon. The small center has seen renewed interest following a revamped tenant lineup. The Vitamin Shoppe occupies a large portion of a former Blockbuster Video with Orangetheory fitness open next door in a converted Atlanta Bread Co. location. Pita has other locations in Peachtree City, Newnan, Dunwoody and Roswell. Tuk Tuk Thai Food Loft has closed "temporarily for renovations." The Thai restaurant, owned by the Niyomkul family (Nan Thai Fine Dining and Tamarind Seed) opened in early 2010 in place of Gary Mennie's Taurus restaurant at Brookwood Place. The restaurant closed this past Sunday the 14th, and is expected to reopen in mid September after "undergoing kitchen, bar and building renovations." The new Pollo Tropical on LaVista Road in Tucker is expected to open September 10th. The restaurant is located in a newly constructed outparcel of the existing Target store. DePalma's Italian Cafe is opening a new location in the Veranda at Fort Daniel shopping center on Auburn Road in Dacula. The locally owned restaurant has three existing locations in Athens. The Dacula location opens in place of Dooley's Southern Stone Pizza Kitchen, which opened in early 2012, and closed early last year. On the heels of Macy's recent announcement that they will be closing 100 stores in the coming months, comes word they are continuing to renovate select Atlanta area stores. While a home store renovation at the chain's flagship Lenox Square store is currently in progress, the chain is also preparing to invest heavily in its Mall of Georgia store. Gwinnett county permit records indicate that the retailer will spend an estimated $100,000 to renovate the third floor of the store, including the furniture and intimates departments. The beehive Atlanta will host its bi-annual "warehouse sale" this coming Saturday August 20th with the sale continuing until next Sunday, August 28th. The shop, previously located on Peachtree Road in Brookwood Hills, is today located in the Edgewood Retail District on Moreland Avenue. The store will open early at 9:00 am this Saturday with early arrivals treated to complimentary minis from Revolution Donuts and sweet tea selections from popular local purveyor, Just Add Honey (while supplies last). The sale will reportedly feature handmade goods from over 50 local artisans at prices of 40-90% off. Tomorrow's News Today - Atlanta is now on Instagram @tonetoatl . Follow me there for progress pictures, updates and special visuals only shared via Instagram. Is the new DePalma's actually run by the folks from the Athens locations? There was a DePalma's in town that used the same menu and paraphernalia, but the food was definitely NOT of the same quality as the Athens locations. If the new place DOES have the same food as the Athens locations, Dacula's in for a treat: meatball breadsticks and calzones! I don't know any decent level headed person that would stay at an extended stay motel. Their tenants are constantly on the news being arrested for horrible crimes. Rebranding and different ownership does nothing to entice good citizens to want to stay with them. Closing "for renovations" huh? Surrrreeee you are. We've seen this song and dance before. Nice knowin ya, Tuk Tuk. Does anyone ever go to Pollo Tropical? I never see a soul at the one on Johnson Ferry. The company seems to be banking on the ATL market too, opening all these stores. Yet sales last quarter and traffic were actually down a little. The company tried to blame this on sales cannibalization via 37 new stores, but that makes no sense. They sure as heck did market studies to avoid that in their new locations and it is not like there is one on every corner in any event. The common sense explanation is that folks have tried the fare once, didn't come back. Is it too early to put Scales 925 on the deathwatch list? Gladys Knight's Chicken & Waffles seems to be the only celebrity restaurant with staying power. Yes, it only took the one time to receive mediocre customer service, and tasteless yet expensive food. No need to go again when other neighbors in the community report the same dining experience. Anon @ 12:02 pm Didn't I read where Gladys Knight's business partners were arrested for money laundering? The location where Scales 925 is/was is one of those cursed restaurant sites like the corner of Pharr Road and Grandview in Buckhead. You could put a Chic-Fil-A in there and it would still go down like the Titanic in less than two years. If I'm counting right, there have been four restaurants in and out of that space in about six years. The restaurant that was there before Scales (I can't remember the name) went out of business so fast it practically closed before it opened. Speaking of things closing before they open, whatever happened to that place called Haus that was opening "soon" in Brookwood back in May? As a vegetarian, I'm really gonna miss Mirage. They had great Persian food, with a ton of vegetarian options. None of the other Persian restaurants in Atlanta can compare. I'm really disappointed that they're gone.